On 19.06.2017., a draft new Inland Revenue Act was published in the Government Gazette. On 19.06.2017., a draft new Inland Revenue Act was published in the Government Gazette. The new Act brings about significant changes in taxation in Sri Lanka including the introduction of capital gains tax and has extensive anti- avoidance provisions and transfer pricing provisions. It is expected that the Act will be presented to Parliament in the near future – according to newspaper reports, the International Monetary Fund will not disburse to the Government of Sri Lanka the third tranche of the three year Extended Fund Facility (EFF) which was due in April 2017 until the Bill is presented in Parliament. Once presented, it is possible that there will be amendments to the Bill through the Parliamentary process prior to enactment into law. Persons who are tax resident in Sri Lanka or even if non-resident, but receiving income arising in or derived from Sri Lanka, will need to have a detailed review and assessment of the impact of the new provisions carried out. © Copyright . 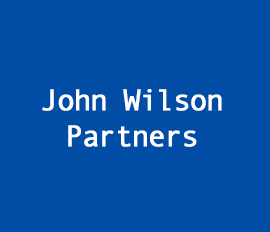 John Wilson Partners. All Rights Reserved. Site by creative59.